Import Jamelle Cornley stood out for the Painters with 20 points and 14 rebounds while locals Jeff Chan and Gabe Norwood contributed 16 and 15 markers, respectively. "We waited for this for six years," said team Rain or Shine co-owner Terry Que. With this PBA welcomes RoS on the elite list of PBA Champions. Jeff Chan was hailed Most Valuable Player (MVP). The Llamados had to play the final eight and a half minutes of the game without an import, after Marqus Blakely was slapped with his sixth foul trying to stop a Gabe Norwood undergoal stab. That led to a split at the line by Gabe Norwood that made it 74-67 in favor of the Elasto Painters. At the end of 3rd quarter round, B-MEG is in hope to capture the lead but still behind RoS, 68-64 . During the final 2 minutes stretch , James Yap was not able to score and missed a shot leaving 80-74 score. Go B-MEG , Go Rain or Shine and Congrats Rain or Shine trends on Twitter to cheer and support their idol player and team. 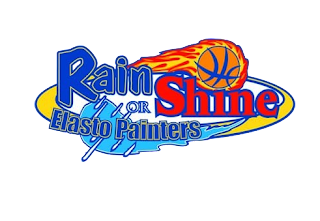 Rain or Shine won six championships in the Philipine Basketball League (PBL) prior to joining the PBA. Many believe the good timing of RoS winning the title as heavy rain pours in the metro few minutes after the fight. Sunday night is stormy for the final fight. RAIN OR SHINE 83 - Cornley 20, Chan 16, Norwood 15, Ibanes 8, Cruz 7, Belga 7, Arana 5, Tang 4, Buenafe 1, Jaime 0, Quinahan 0. B-MEG 76 - Yap 23, Blakely 15, Simon 11, Urbiztondo 8, De Ocampo 8, Barroca 5, Reavis 4, Pingris 2, Villanueva 0.